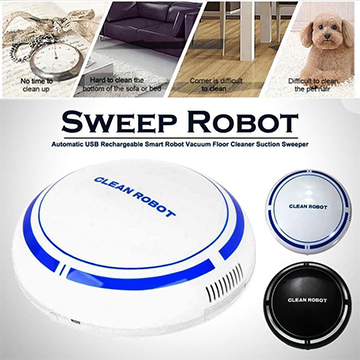 Automatically move around and clean dust, hair and other tiny garbage, with garbage room design, it can it can store the tiny garbage, which makes a better cleaning effect. Direction changes when objects or walls are detected. 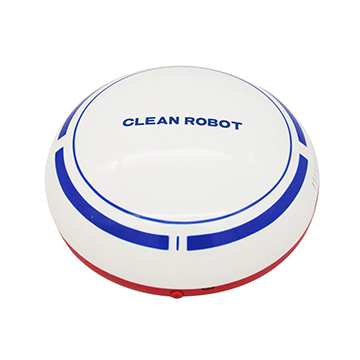 A good helper to clean dust or other tiny rubbish under desk, bed or sofa, which is difficult for we human to clean. Built-in rechargeable battery, convenient to charge and save your money. Use any DC 5V power supply to charge it. It is a floor duster, NOT a vacuum. Demension: D7.1*H2.56 in, weight: 0.7 LB.